Can you pinpoint the biggest challenge facing India today? Corruption, Overpopulation or Illiteracy may be your top answers. Think again. The greatest threat may well be lack of access to clean water. Ground water refers to all water below the surface of the ground. Ground water is a major source of fresh water critical for sustaining life. However, it is nature’s buried treasure, since much of it is stored underground. Underground water is the only source of water in many dry areas. Water is brought to the surface using pumps and used in various sectors. Groundwater is used to irrigate India’s farmland. Beneath the “growing economy, and development facade” of our towns and cities, is the gripping water crisis.The Central Ground Water Board has reported that in the 10 years to 2011, there has been a more than 4m decline in aquifers that supply six major cities, including New Delhi, and Mumbai. A number of factors affect the depleting groundwater levels in India. Groundwater is used for irrigating our agricultural lands, used by industries, and for human consumption. Apart from gross misuse especially by the first two sectors, the government by virtue of its poor distribution system, adds to the woes. 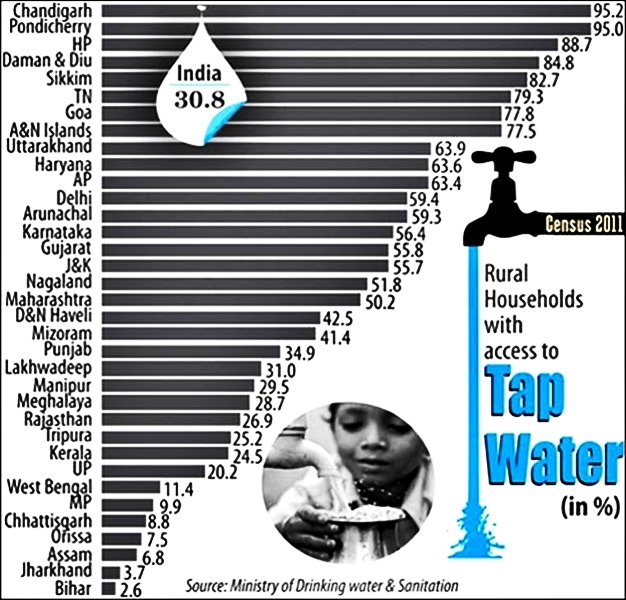 In cities like Delhi and Pune , nearly 40% of the water supply is lost due to leakages. Quality of groundwater is also major concern where ground water resources are used for human consumption. Urban development, sewage contamination, run-off from landfills, and widespread application of fertilizers and pesticides are the major contributors polluting our ground water. Fluoride is another natural contaminant that threatens millions in India. Aquifers in the drier regions of India are rich in fluoride deposits. Fluoride is an essential nutrient for bone and dental health, but when consumed in high concentrations, can lead to crippling damage to the neck and back, and to a range of dental problems. The WHO estimates 30 million in northwestern India are drinking water with high fluoride levels. The reason for this is that water has been pumped from deeper aquifers that contain high concentrations of arsenic. Recent reports suggest that groundwater in parts of Delhi is highly polluted. Some studies from the Central Pollution Control Board paint a dire picture. After half a century of spraying in the eastern Indian states of West Bengal and Bihar, for example, the Central Pollution Control Board found DDT in groundwater at levels as high as 4,500 micrograms per liter which is several thousand times higher than what is considered a safe dose. Groundwater depletion has forced cities to seek out alternate supplies of water, either because the groundwater has become unusable as is the case with Jaipur or groundwater will cease to exist by 2015 in the case of Hyderabad. Access to clean groundwater is linked to our health, and food security. 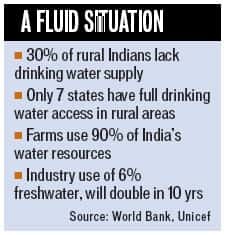 India’s water crisis is predominately a man-made problem. We not only need to acknowledge the severity of the ground water crisis, but also look at a more holistic approach towards resolving it. There have been some solutions initiated by institutes and ngos. Conserving water, reducing our water footprint, using rain-water to recharge our aquifers are some of the solutions prescribed by scientists and experts. Adequate rainfall can recharge our groundwater. On an individual level, we need to be more responsible in water usage, and urge policy makers for an effective, sustainable solution. Birds need you this summer. With summer temperatures increasing and water resources scarce, birds find it tough to survive. Keep a medium-sized bowl of water in your balconies, or terraces. Ensure the water is clean, to avoid birds from catching diseases. Enjoy the visit of winged creatures! Do you know the best remedy to beat the scorching summer heat? The humble cucumber of course! The phrase “as cool as a cucumber” conjures up an image of a person who remains cool, calm, and collected in a difficult situation just as a cucumber’s inner flesh remains cool even if it’s just been plucked from a hot garden. It is one of the oldest cultivated vegetable. Cucumber belongs to the Cucurbitaceae family and includes many of our favourite vegetables such as pumpkins, melon, cucumber, watermelon, bottle gourds, and bitter gourds. 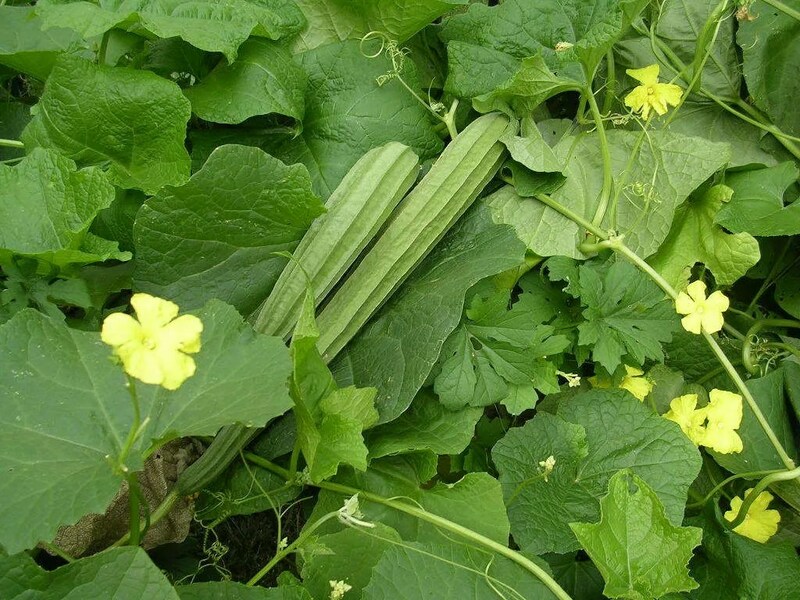 The botanical genus Cucumis, to which cucumber (Cucumis sativus) belongs, was long thought to have originated and diversified in Africa, since many wild species of Cucumis are found there. However, recently obtained molecular data have shown that cucumber (Cucumis sativus L) and melon (Cucumis melo L) are indigenous to India and likely to have originated from the foothills of the Himalayas. Botanists at Ludwig-Maximilians-Universitaet (LMU) in Munich have now shown that both plants origniated in Asia. 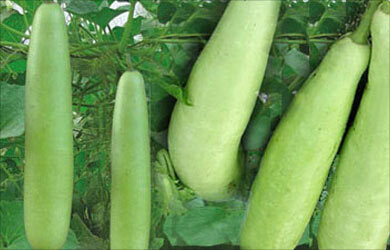 The cucumber traces its ancestry to the slopes of the Himalayas. Researcher Arun Pandey from the University of Delhi and Susanne Renner from the University of Munich, Germany, created a new checklist of the Cucurbitaceae so as to update the data about the Cucurbitaceae family. The study was published in the open access journal PhytoKeys. The list has 400 names and gives details about the location from where the specimens were collected. The list also includes 94 species from 31 genera. Of the 94 species, 10 are endemic to India. Besides giving details about the location of the samples, the list gives information about the publicly available DNA sequences. DNA sequences of at least 79 percent of the 94 species are available in GenBank – National Institute of Health (NIH) genetic sequence database in the United States, which has a collection of all publicly available DNA sequences. Biodiversity of India is truly amazing. 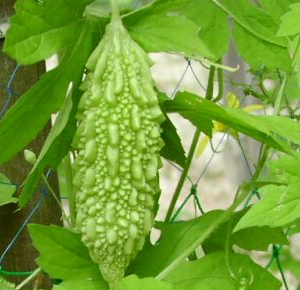 The published research paper along with the list can be accessed at The Cucurbitaceae of India: Accepted names, synonyms, geographic distribution, and information on images and DNA sequences. As citizens of Bangalore, the city we see around has evolved with different custodians of its governance. Revisiting the city’s topographical history provides a fascinating glimpse of the city. The 1791 map of Bangalore shows an area called Petta adjoining the Bangalore fort. It consists of areas representing present day Avenue Road, Chikpete, and surrounding areas. The outer walls of the Petta are surrounded by agricultural fields. A city is shaped by social and political events of its time and Bangalore is no exception. The city’s governance changed hands between its founding in 1537 and 1831, when the British took over the city’s administration. In 1809, the Cantonment was established by the British which resulted in building administration and residential areas for the British military. 1881 saw roads named after military conventions – Infantry Road, Brigade Road and Artillery Road. (The city even today retains the names of these streets!) The city thus expanded beyond the surroundings of Bangalore fort. In 1893, 1898, plague broke out in Bangalore, which necessitated a plague quarantine area and hence a ‘Plague Camp’ was created south of Richmond town (see map below.) The epidemic took a large toll in Bangalore especially in populated places, but provided an impetus to the development of civilian areas of Bangalore. While telephone lines were laid to assist anti-plague operations, regulations for building new houses with proper sanitation facilities came into effect. The Victoria Hospital was inaugurated in 1900 by Lord Curzon, the then Viceroy. Residential areas such as present day Malleshwaram and Basavanagudi were also formed. The map of Bangalore in 1924 shows a town dotted with lakes and exhibiting civil and military station boundaries. In 2013, it is not surprising to see significant changes in the configuration of the city. The changes have been driven by the social and economic forces at work in Bangalore. The growth of Bangalore as a city for employment has brought large scale migration and with it changes in land use patterns. An obvious change in the city’s land use is the elimination of nearly all water bodies. Dharmambudi tank is the present day’s Kempegowda (Majestic) bus stand where as Sampangi tank is the Kanteerava stadium. Numerous lakes have been drained or left to die for use as residential or industrial areas. Agricultural land has been converted into apartment and shopping complexes. With an increase in city limits, Bangalore faces the growing problems of urban sprawl, loss of natural vegetation and open space, and decline in wet-lands and wildlife habitat. Understanding the land use patterns in Bangalore is the key to future urban planning. The Bangalore Mahanagar Palika master plan for Bangalore needs to be understood by its citizens to enable participation from the people most affected by the proposed changes. Urban planning of Bangalore is in the hands of multiple agencies (Bangalore Development Authority, Bangalore Mahanagar Palika, Bangalore Metropolitan Region Development Authority, Karnataka Urban Infrastructure Development and Finance Corporation) and coordination among these agencies is crucial to developing and implementing a cohesive plan. As city authorities and agencies take on the challenge of city planning, the role of citizens in determining the design of city spaces will become more important. Perhaps this will be the next force dictating the growth of Bangalore. Ever wondered the reason behind the increase in Malaria, Dengue, and Chikungunya? Environmentalists attribute the reasons for the increase in these vector-borne diseases to ecological imbalance and global warming. Frogs are one of the species affected by the changes in environment. While I was growing up in Mysore frogs were a common sight at nearby ponds, wells, and marshy areas in the locality, making their presence felt by croaking. Today, I rarely hear them. I set out to find the role these four legged friends play in our ecology. Frogs are an important link in ecological food chains as both predators and prey. While tadpoles feed on algae and keep the waterways clean, adult frogs feed on insects and pests, some of which can transmit deadly diseases to humans. Frogs are in turn a food source to fish, snakes and birds. Their survival ensures the survival of other species in a ecology. Unfortunately, frogs and other amphibians are disappearing at an alarming rate around the world. Pollution, climate changes, and use of pesticides, are some of the factors responsible for their declining numbers. Listed below are the impact of changes in environment on amphibians. Factors influencing decline of amphibians such as frogs. Image source: Indian Institute of Science. Amphibians are great indicators of what is going on in ponds, forests, the soil, and even the air. Since they live on both water and land, frogs are sensitive to degradation of their environment and the best indicators of our ecosystem. Disappearance of any species in the natural world is a sad reminder that everything that we humans do affects the natural world. Our chemically intensive agricultural practices are poisoning not only the natural world, but are very likely also affecting us by polluting our water systems such as lakes, ponds, streams and rivers. Our urban development practices that place little to no value on wild places and the habitat it provides are leading to catastrophic loss of species around the world, and finally the effects of global warming are being felt in so many ways. Frogs have an intimate association with the environment and hence are a harbinger of our own future. Whenever you hear the familiar croaking of frogs know that the surroundings you are in, are friendly to our fast disappearing friends. An aquifer is a body of rock or sediment that stores and transmits large amounts of groundwater. An aquifer typically consists of sands and gravels with interconnected pore spaces, or rocks with numerous interconnected fractures or cavities. Groundwater flows through these pore spaces and fractures, and the amount and rate of water flow is determined by the size and “connectedness” of the fractures and spaces. The Central Ground Water Board (CGWB) has released an Atlas on Aquifer Systems of India with detailed data on 14 principal and 42 major aquifers. The atlas provides detailed data on six states: Chhattisgarh, Himachal Pradesh, Karnataka, Kerala, Meghalaya and Tamil Nadu. Aquifers are the source for drinking water. Farmers use groundwater for irrigating crops. Many industries also rely on groundwater. Groundwater is vital. It may be ‘out of sight’ underground, but we should understand the importance of protecting and maintaining the quality and quantity of this water resource.